In the US we place great value in the acquisition of a college degree, but are the collage tuitions really worth the investment? 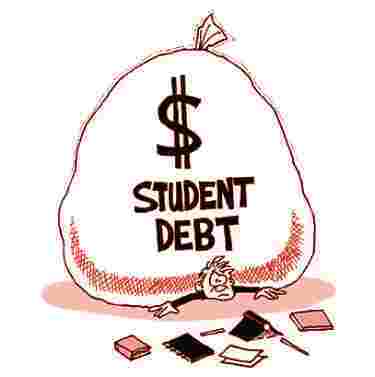 A Cato institute found that, adjusted for inflation, college spending has increased 140 percent between 1970 and 2007. This doesn’t seem to be paying dividends, because according to the National Assessment of Educational Progress Tests, reading and math scores were flat, while science scores were down. How have we arrived at such a fixation of having to send our children off to college directly after high school. I spent 4 years in the U.S. Air Force straight out of high school, and while I was saving for college and learning a trade that I could use when I got out, my friends were doing keg stands at the frat house. They, no doubt had a lot of fun, but is that really what school is supposed to be about? Peter Schiff would say that college tuitions are causing a bubble, and that much of the college degrees value, comes from the perception that it has value-kinda like condos in Las Vegas in 2006. One of the most damaging features of spending 4 years at a college institution is the opportunity cost to the student. Instead of taking those pesky art history or women’s studies courses, 18-22 year olds could be acquiring marketable skills, learning the responsibilities of having a job, and most of all learning to deal with money. Lets look at this a different way….From 1978 to 2008 the dollar lost a bit more than 1/3 of its value, which means that the cost of living tripled. During these same years college tuitions have increased tenfold. Things such as automation, economies of scale and competition should be bringing the cost of college down, but why isn’t it? When so much of the population goes to college, it cheapens a college degree, Peter Schiff refers to this as grade inflation, or the debasement of academic degrees. It makes everyone’s degree worth less and more difficult for employers to judge the competency of applicants. So who is benefitting from the cultural bias of pushing young kids to go to college? The biggest beneficiary is the educational establishment itself. The Universities get more students, and thus more money. Construction companies have greatly benefitted when they build new dorms and campus buildings. I haven’t been to a college campus in the last 5 years that hasn’t spent millions in new construction and renovations. 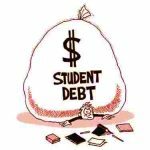 Maybe it’s the student lenders, kids seem to have considerable debt upon leaving college, often times even leaving without a degree. The reality is, if a college degree costs students and/or families so much financially, and newly minted graduates are entering this work force with limited skills and a mountain of debt, are college tuitions really worth the investment? In Summary, the inflation of the college degree has kept a whole generation of students from recognized adulthood, and its results are debilitating.